The scariest Stephen King story I’ve ever read – The Boogeyman from Night Shift. I was 10 years old, home with the chicken pox. The illness was bad, but the nightmares made it worse. My favourite film based on a Stephen King story – The Shining, hands down. You can read why here. I recently sat at a table with the great author Chris Claremont and debated the films merits. We agreed to disagree. However, when it comes to my favourite Stephen King story of them all, there really is no competition. It’s The Dark Tower, the epic seven book series that tells the tale of Roland Deschain, the last Gunslinger in Mid-World as he endeavours to find the tower at the centre of all reality. I read all seven books back in the winter of 2010, every week day as I commuted to my then day job, 1.5 hours each way. Truthfully, it was the best way to immerse myself in the series. The hard part was when characters I grew attached to started dying towards the end of the series. Nobody likes getting their tears in their eyes in public. As Stephen King’s assistant and author of the essential The Dark Tower: A Concordance, few know The Dark Tower better than Robin Furth. 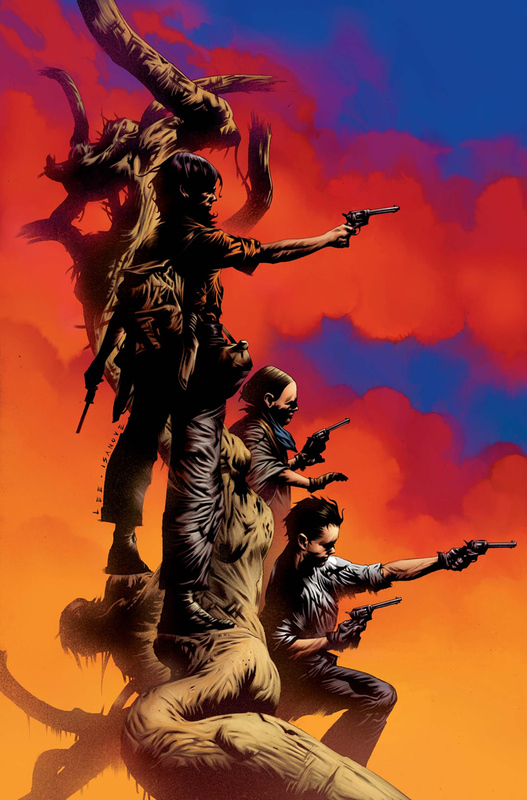 Her unparalleled familiarity with Mid-World made her the perfect choice to help guide The Dark Tower when Marvel Comics began publishing its King-approved series in 2007, the first 30 issues of which are now compiled in the massive Dark Tower Omnibus (which also includes a separate Companion book full of lots of Furth-penned pieces). I was able to chat via email with Ms. Furth about all things related to her work on the brilliant comic book series, along with how she first entered Mid-World (and Stephen King’s world) a decade ago. For a huge fan of the Dark Tower series, I’m pretty sure you can imagine how excited for the opportunity. I hope you enjoy it as much I did. Andy Burns: First of all, thanks so much for agreeing to an interview with Biff Bam Pop. All of us who work on the site are big fans of Stephen King, and specifically The Dark Tower, both the novels and the comics. Before we get into the comics and your involvement with them, I wanted to ask, how did you initially begin working with Mr. King on The Dark Tower? Robin Furth: Thanks so much for your kind words about the comics! As you know, I’m a huge fan of the novels too, so being able to work on the comics has been the opportunity of a lifetime. I can only hope that our comics do justice to Stephen King’s characters and world. I started working for Steve King back in 2000—the year after his terrible accident. By that time Steve had already published On Writing and needed somebody to sort through the thousands of responses he’d received for the On Writing story competition. He wanted to help out a starving grad student so he contacted Burt Hatlen, one of my professors at the University of Maine who also happened to be one of Steve’s old advisors. Burt knew that I was a writer, that I loved fantasy, horror, and sci-fi, and that I was a fan of Steve’s work, so he recommended me for the job. (I am forever in Burt Hatlen’s debt.) That original project lasted about a month. I did some of my work from home, some from the King office, but most of my contact with Steve at that point was through email. (Most of my work was with Steve’s assistant, the wonderful Marsha DeFilippo). Not only did I create a huge dictionary of characters and places and plot twists, but I recorded Mid-World games, Mid-World languages, Mid-World diseases, and pretty much everything else I could think of. I drew a door labeled THE AUTHOR which was supposed to help Steve reenter Mid-World. I placed the door at the front of the manuscript then I bound the whole thing in black and taped a key to the front. (The key was so Steve King could open the door.) I wasn’t certain how Steve would react to my wild enthusiasm, but he liked it enough to ask whether I wanted to continue working with his manuscripts. After that, I received draft chapters as Steve wrote them so that I could continue building my Dark Tower Concordance. I’ve been lucky enough to live in Mid-World ever since. Andy Burns: Could you explain how you became involved with Marvel in bringing Roland and Mid-World to the comic book/graphic novel medium? Robin Furth: The collaboration between Stephen King and Marvel Comics really began when Joe Quesada, Marvel’s Editor-in-Chief, mentioned at a comic book convention that he really wanted to work with Stephen King. Word eventually made it back to the King office and Chuck Verrill (Steve’s editor and agent) contacted Marvel. After many discussions everyone decided that the best book to adapt would be Wizard and Glass, since it tells the story of Roland’s adventures in Hambry, when he and his friends are fourteen years old. I was there at the original meeting between Steve, Chuck Verrill, and Marvel. (Well, I wasn’t there in body. I was there via phone link.) I’d spent so long in the Dark Tower universe that Steve thought it would be a good idea to have me on board for the Marvel project. I’d never worked in comics before but I loved graphic novels and illustrated books so was excited about the whole thing. I also wanted to see Roland and his friends take on that extra dimension—to have faces and bodies which moved through space. As you can imagine, my initial learning curve was INCREDIBLY steep. But luckily for me, I was working with a terrific team of extremely experienced comic book folks. Peter David, Jae Lee, Richard Isanove, Ralph Macchio, and all the other editors and artists who have worked on the series, have been great. I’ve learned a tremendous amount from all of them. Andy Burns: I know some artists, or fans, for that matter, don’t want to see a novel adapted in any way because it arguably takes away from the images one conjures up in their mind’s eye. 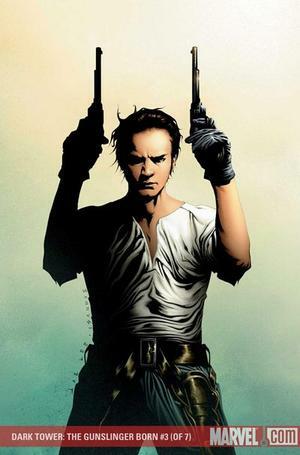 As someone who was so intimately involved with The Dark Tower before it made the leap from novel to comic, I’m wondering how you felt about the new endeavour and if there was any hesitancies about translating it to a visual medium? Robin Furth: As a fan myself, I wondered how on earth any artist would be able to take the pressure of creating faces and bodies for Stephen King’s beloved characters, but Jae Lee and Richard Isanove created spectacularly beautiful work—visuals that really lived and breathed. We’ve been incredibly lucky—all of the artists who have worked on the series since then have maintained this incredibly high standard. I still remember receiving the first of Jae Lee’s pencils. They were of Roland, and Susan Delgado, and Cuthbert, Alain, Cort, and Eldred Jonas. I was so amazed that I had to sit down. I happened to receive them while Steve King was touring the UK promoting Lisey’s Story, so I was the first person to show him those early pages. I will always remember sitting with Steve in the corner of a crowded room, showing him those images. Everybody else in the room was celebrating Steve’s wonderful latest release, but Steve King and I were in Mid-World. Steve loved the work. He said that seeing those sketches was like having the characters that had lived in his mind for so many years step onto the page. I felt the same way myself. As for my part in the process, undertaking any adaptation is always an incredibly daunting task. I think the most surprising thing is that when you change to a new medium, you often have to translate the original material so that it fits the new form. For example, even though The Gunslinger Born is an adaptation of Wizard and Glass, which is Book IV of the Dark Tower cycle, much of the opening material actually comes from The Gunslinger, which is Book I. When we talked about the trajectory of our tale, Steve King said he wanted us to begin with Roland’s coming-of-age battle against Cort, but after much discussion we decided to begin our story even earlier. The Gunslinger Born opens with the The Gunslinger’s iconic line, “The man in black fled across the desert, and the gunslinger followed,” but the scenes that come after—the falconry lesson, Roland’s discovery of his mother’s affair, and Roland’s battle against Cort—all come from The Gunslinger as well. Andy Burns: In The Dark Tower Omnibus, you’re credited with plotting and consultation. What specifically did those roles entail on your end? Robin Furth: As a consultant, I answer questions about all things Mid-World, from clothing to gun design to landscape and religion. I also answer questions about Roland’s history, or the history of the many other characters you meet in the series. Plotting is exactly what you’d guess. It means creating the stories that are then illustrated by the artists and scripted by Peter David. Basically, for each new arc I write a detailed story for each comic book. I write the arc as one flowing piece, almost like a short novella. I break each arc into five, six, or seven issues—depending on our format. In my outline, the individual issues work like chapters in a book. Reading the issues is (hopefully) a little like reading the description of a film. They are broken into consecutive scenes, one following from the other, and ending with a cliffhanger. (Except for the final comic of an arc, which must have a sense of closure.) I make sure that everything in a scene is described in great detail, so that we can remain consistent with Stephen King’s world. Saturday, in part two of our exclusive interview with Robin Furth, we discuss working with Peter David, Stephen King’s view and influence on the Dark Tower comic book and much more! Pingback: Biff Bam Pop Exclusive Interview: Andy Burns Talks Stephen King’s The Dark Tower with Robin Furth, Part Two « Biff Bam Pop! All those that wish to help Peter David in his treatment costs go to http://www.comicmix.com/news/2013/01/04/help-peter-david-by-buying-his-e-books-now/. Not only do you get great reads but you help out the man who made them.